Prof. Alexander F. Ritter, Associate Professor, University of Oxford. Comments and corrections are very welcome, my contact details are here. I gave the following handouts during the lecture course. For copyright reasons, I cannot put these online. If you have trouble finding them, ask me. 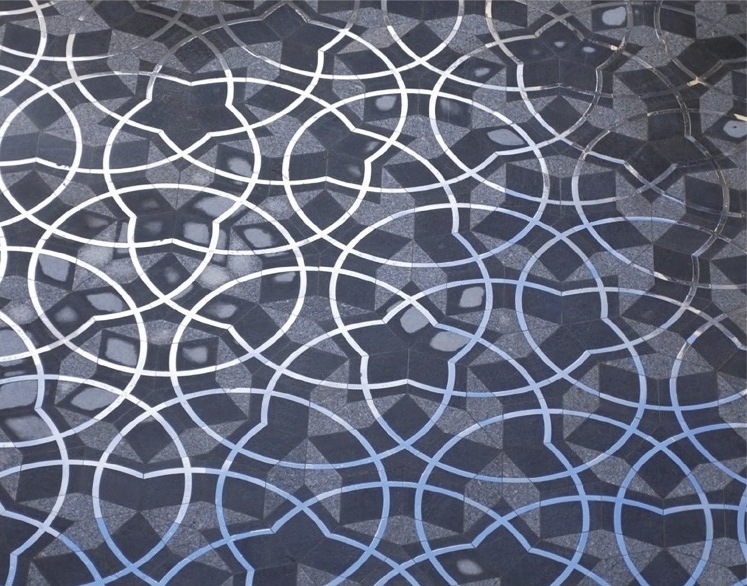 ♦ Sir Roger Penrose, "Pentaplexity"
♦ Martin Gardner, "Penrose tiling"
♦ E. C. Zeeman, "An Introduction To Topology"
WHAT ARE THE OXFORD MASTERCLASSES? The Oxford Masterclasses are organized by the CMI-PROMYS International Alliance. It is funded by the Clay Mathematics Institute and by a generous donation from a Wadham College alumnus. In August 2014, the program invited 19 European students, including 13 CMI-PROMYS Scholars, for a week-long summer program in Oxford designed to encourage ambitious high school students to explore the creative world of mathematics. The 2014 Masterclasses were held at Wadham College, Oxford, August 10 - August 16. I taught the lectures (about 20 hours), and I organized two guest lectures: Sir Roger Penrose (Wadham College) talked about Penrose tilings, and Dr Henry Cohn (Microsoft Research) talked about Sphere packing. ♦ Article on the Wadham College website, with photos. ♦ Article on the PROMYS website. ♦ More about PROMYS on the Clay Mathematics Institute page. Prof. Alexander F. Ritter. Contact me. Associate Professor in Geometry, Mathematical Institute, Oxford. The Roger Penrose Fellow and Tutor, Wadham College, Oxford.